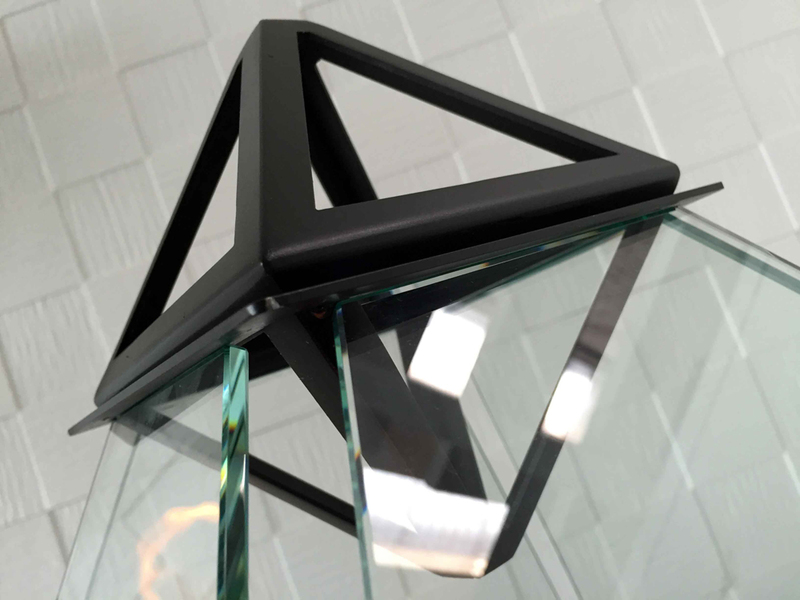 Inspired by architect I.M. 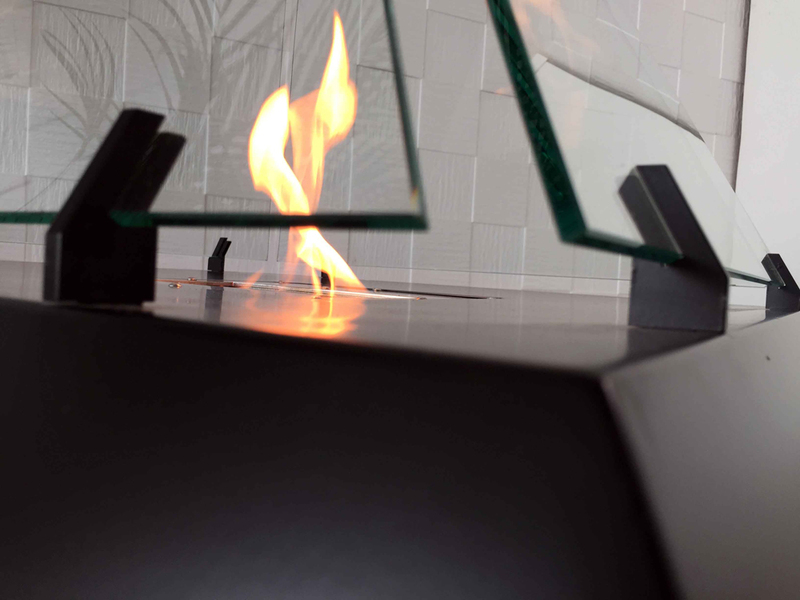 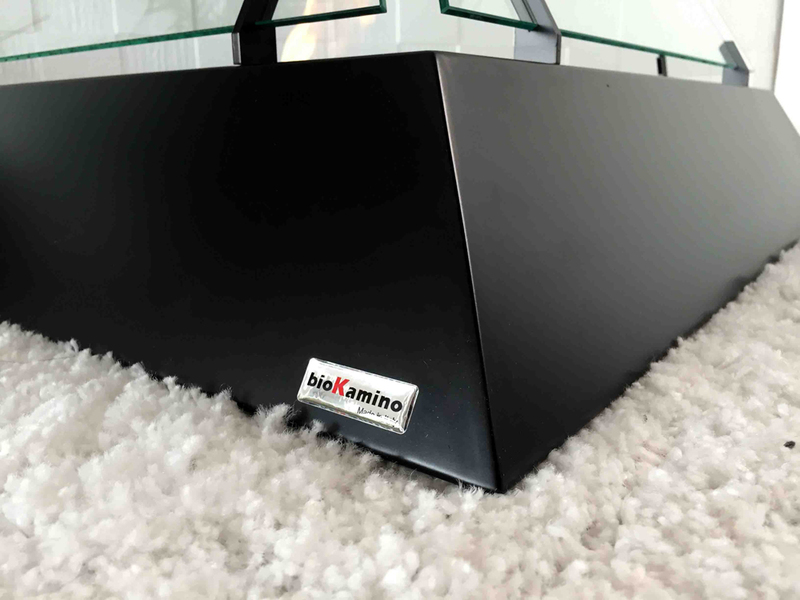 Pei’s great glass entrance to the world famous museum, bioKamino‘s new Louvre fireplace is a modern alternative to the traditional hearth. 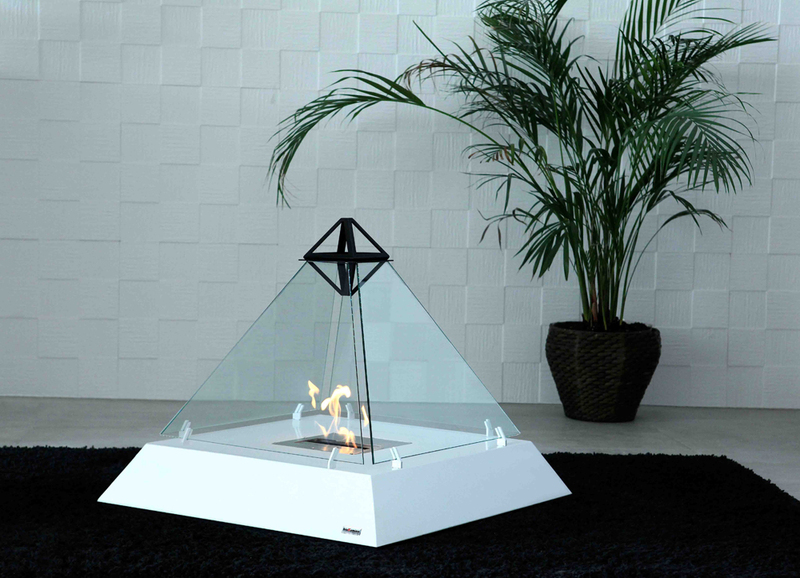 The chic floor fireplace features a minimalist aesthetic, echoing the simplicity and understated elegance of the Louvre’s iconic pyramid and Parisian landmark. 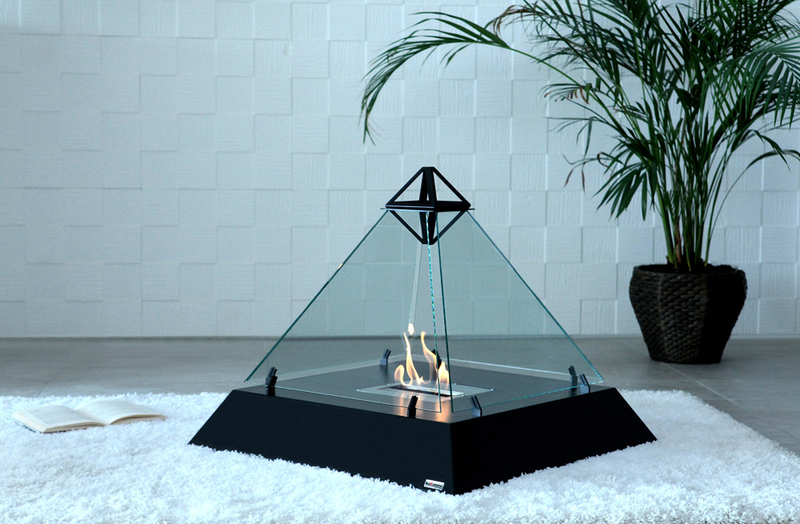 A frame—available in either black or white – connects four panes of clear glass to form the pyramid structure. 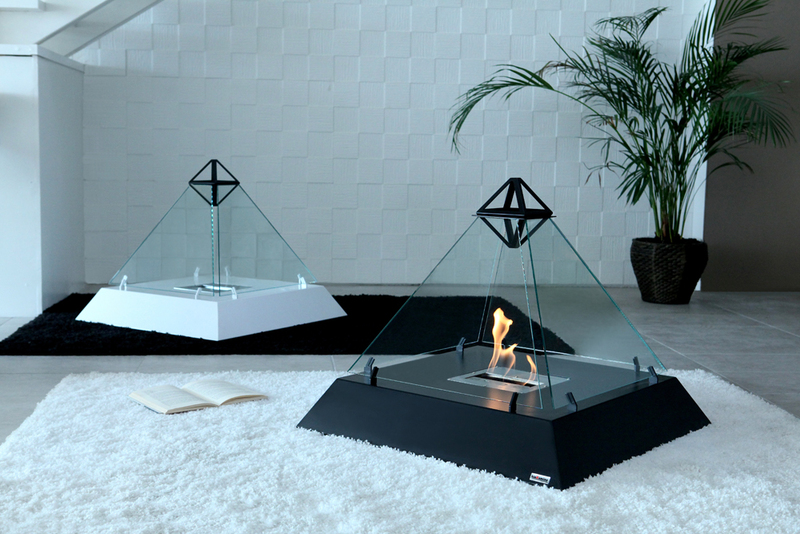 Its innovative, all-around glass construction also enables a unique 360-degree view of the fire. 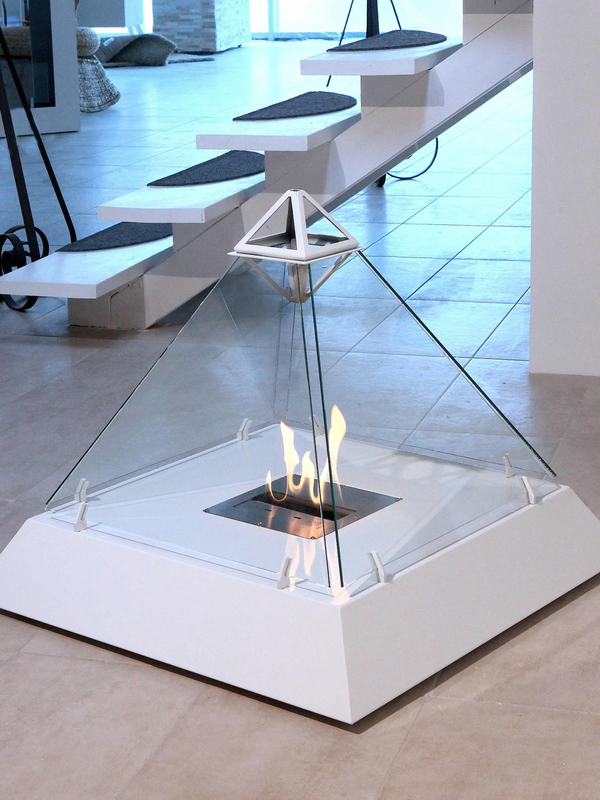 Like all of the company’s fireplaces, the Louvre relies on bioethanol – “an energy source of plant origin that belongs to the renewable energy family.” It features a real flame that produces heat without the soot and smoke of a traditional chimney, and does not produce any unpleasant aromas. 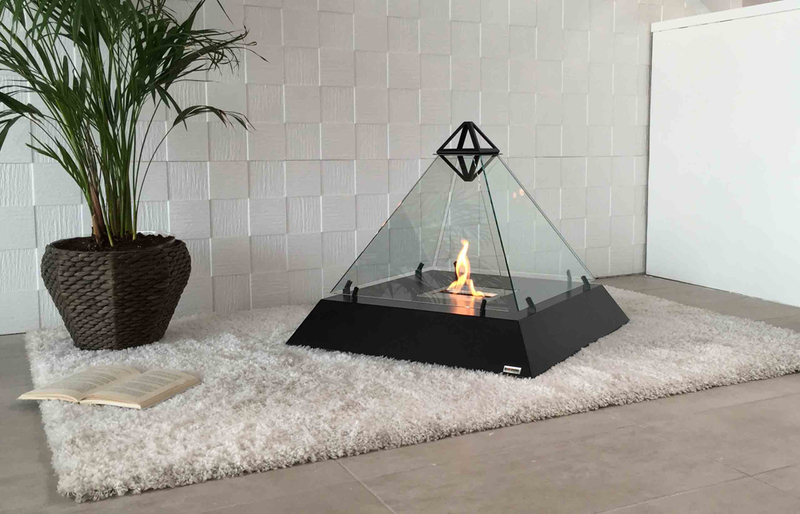 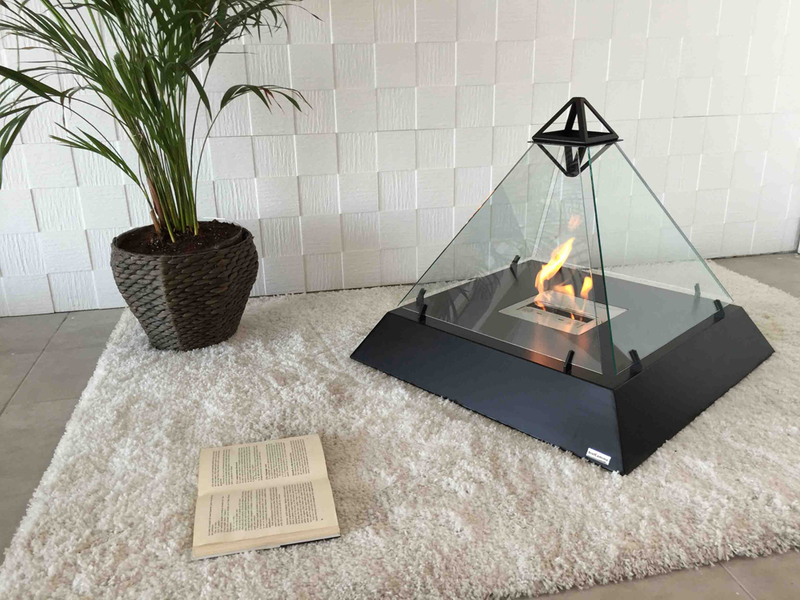 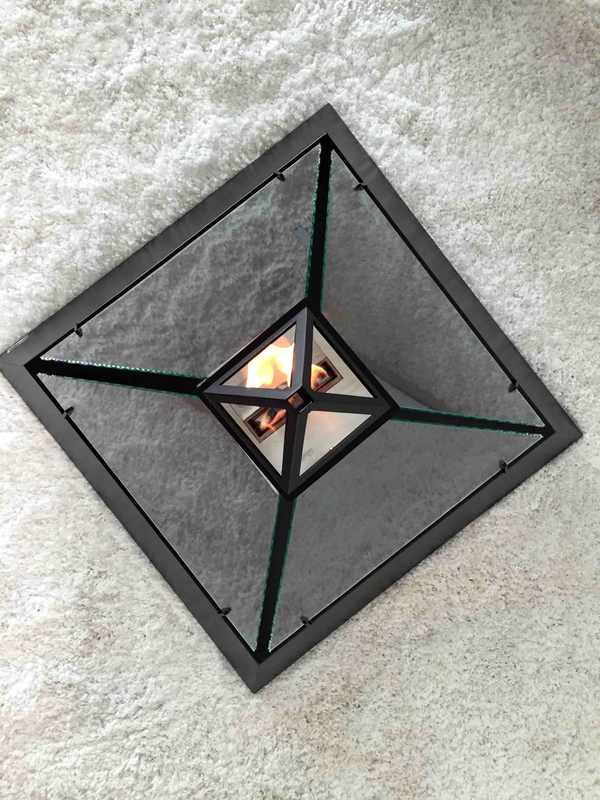 The Louvre model is also a floor fireplace; it does not need to be installed, and is completely portable, which means it can be placed anywhere at anytime. 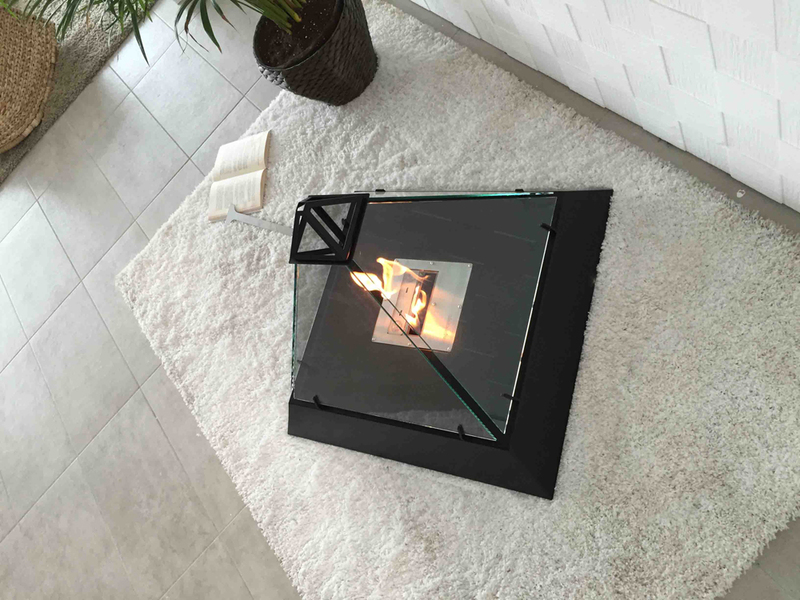 With its simple yet sleek design and its focus on sustainability, the Louvre is both a versatile statement piece and a compact (and cozy) addition to any room.